Experience, technique innovation and tradition in the glass world. 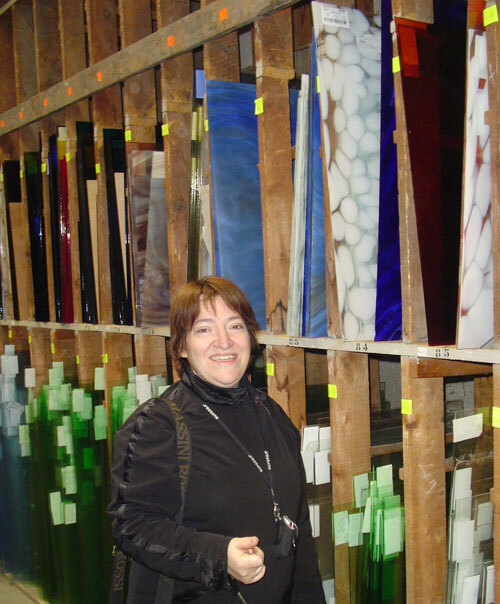 Angela Ferraris, Italian artist, born in 1961, dedicated all her life to the glass with passion. Her artistic formation began when she was very young. She distinguished herself not only in the school of art , artistic high school and academy of fine arts but also during the frequentation of art studios, glassworkers, artisans and craftsmen. From more than 30 years she personally follows all the phases during the realization of all the stained glass windows and mosaics she conceived and created. She has achieved a so only and particular technical competence to be able to export all over the world an exceptional quality, works of art in glass whose value is determined by the great power to transmit emotions and to bring engraved and indelible the imprint of the serenity of her soul.